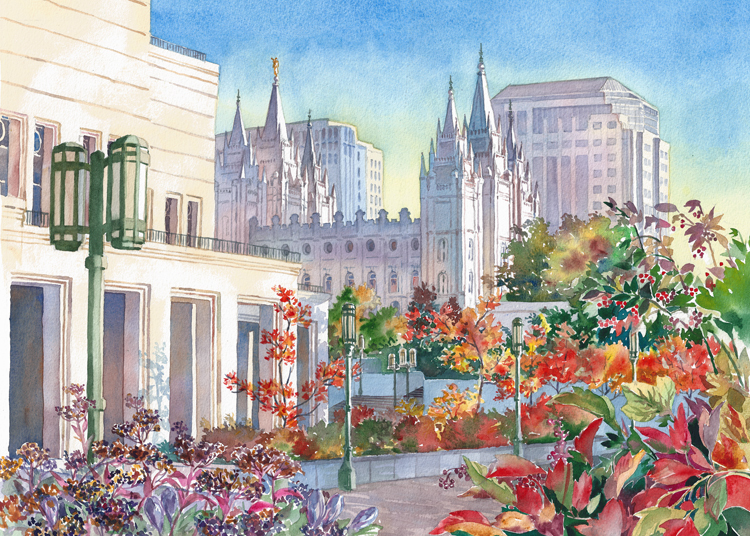 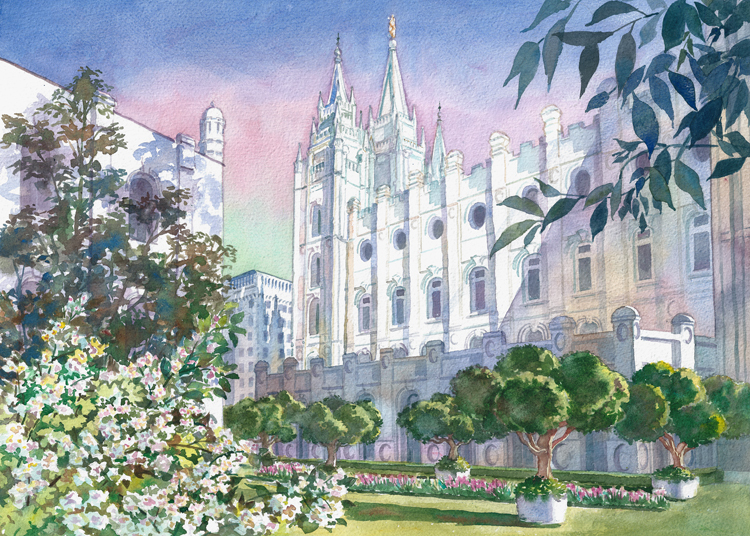 I finished the "12 Gardens At Temple Square" Here are 3. 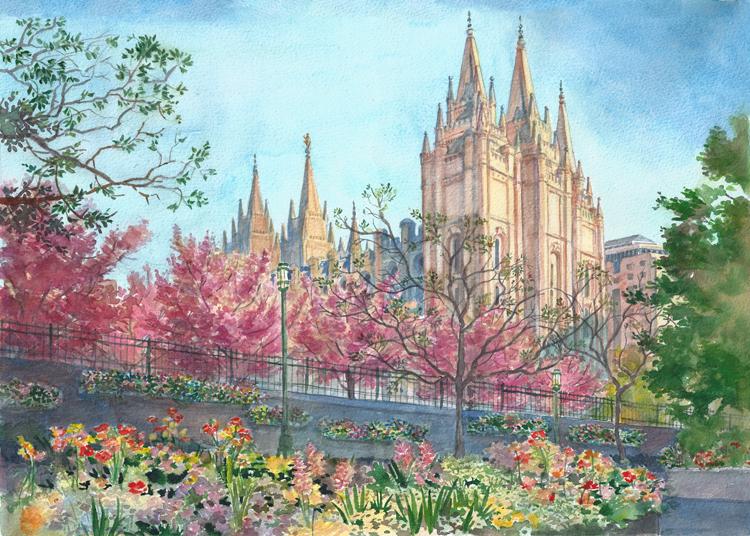 I painted them out of order since I didn't get one painted every month and filled in blanks over the past year and a half. Originally I was painting gardens on and around Temple Square, then thought of Hokusai's "36 views of Mt. Fuji" and narrowed the parameters of my self assignment to include the central building of Temple Square in each painting. 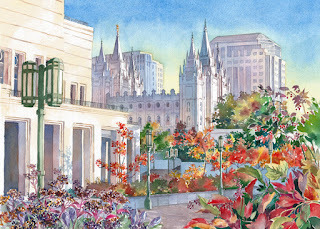 I have plans to do various gardens now in the area without the inclusion of the temple.